One of the rarest advantages among the many not-so-good ones during summer is the ice cream. Especially, in the scorching heat of Indian summer, the one relief that I always used to look forward are these frozen treats! 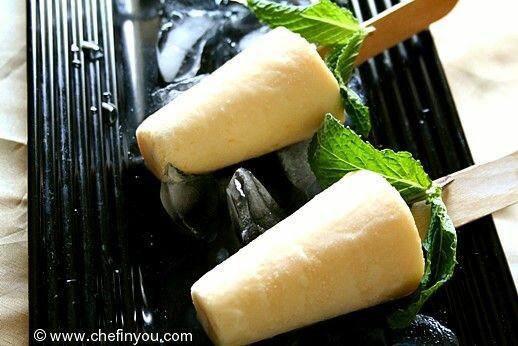 Among the many yummy cold desserts this variation of the Indian icecream is called as Kulfi or Qulfi. Its very similar to the traditional icecream having the same taste and creamy texture but is ridiculously simple to make. Its the type I dig. The other advantage is, it takes so long to melt that I had time to take a photo without fear of it melting soon ;). Wikipedia says the following "Unlike Western ice creams, kulfi is not whipped, resulting in a solid, dense frozen dessert similar to traditional custard based ice-cream. Thus, it is usually considered a distinct category of frozen dairy-based dessert." I cannot help but remember with a nostalgic smile at the Kulfi wala outside the house and we, the colony kids, troubling our parents to buy us some. There used to be this Kulfi man carrying this huge basket on his head and then there was this man with a cart full of Kulfi screaming "Kulfi Ice", "Kulfi Ice". The cart was the upgraded version of the basket ;) and such sights used to be common during the heat of the summer days! Made sense to sell these since as mentioned before these were not that easy to melt. * I had regular mangoes on hand. I took the pulp of about 4 mangoes, processed them, strained them of any strings to make 1 cup of fresh mango pulp. 1. Combine all the ingredients except the mango pulp in a non-stick pan and mix well. Bring this mixture to a boil and then simmer for 10 minutes till thickens. Cool completely. 2. 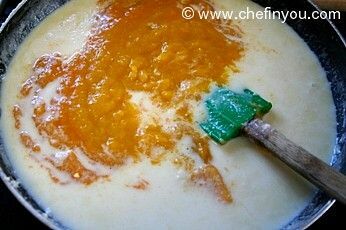 Add the mango pulp and mix well. 3. You can set these in any container you want. But traditionally Kulfi icecream are served in these special moulds where the icecream is set. That shape has all the significance for me :) You might finds these here in local Indian stores (mostly in larger ones). 5. and freeze till set. Or you can wait till its half set and place a icecream stick in the center of it (the half frozen cream will help the stick to hold it in place). Refrigerate again till completely set. 6. Unmould the Kulfi. You can easily do that by placing it under running water for few seconds. Pull the stick gently and it will come out. I used evaporated milk instead of milk powder and reduced the sugar. I added 5 tbsp. of custard powder to help thicken it up as it didn't thicken to my liking. I also sliced and puréed mangoes. The kulfi tasted and turned out great! Thanks for the recipe! It came out really well. The hardest part was getting the milk/condesed milk mixture to thicken. I ended up having to cook it on medium for about 25 minutes, but otherwise the recipe was perfect! Excellent recipe - thank you. I also added about 1/2 teaspoon ground cardamom. And made a second batch using ground pistachios instead of mango. They turned out delicious and very pretty. 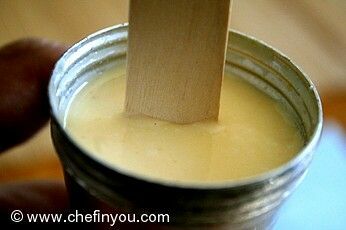 The cheap popsicle holder (which I had used for mango kulfi) isn't recommended - for some reason the stick came out before the ice cream and we had to spoon it all out. A more textured set of sticks on another set of holders (that I use for the pista kulfi) gripped the kulfis and pulled them out beautifully! 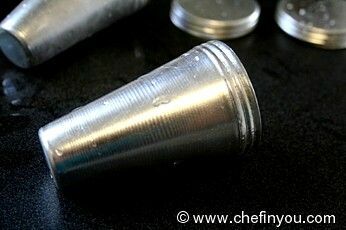 Is it ok to use plastic cups to poor the mix into instead of kulfi molds? :wink: I TRIED TO DO THIS HAHAHA, I'M STILL WAITING FOR THE RESULTS AFTER FREEZING BUT IT'S SO YUMMY EVEN THOUGH I DIDN'T FREEZE IT YET. Hi, looks lovely. I haven't tried but I would like to.cn I ad some other flavours thn mango as my hubby doesn't eat. Hope to hear bk from u. Can I make Kulfi with just Alpro Cream, Sugar & Mango - my grandchildren are dairy intolerant???. Will the Kulfi set with just Alpro Cream, Sugar & Mango puree, my grandchildren are dairy intolerant, so cannot use evaporated milk???. 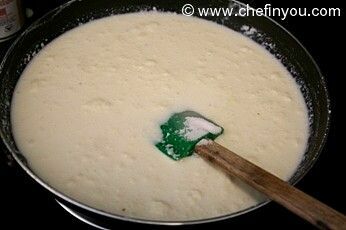 Question to Tanazz: Did you simply mix and freeze the ingredients without boiling first? No matter what I do, I can't get the milk mixture to thicken. Any tips on this? Stir? Don't stir? Help! Hi, Can I use instant dry milk instead of milk powder. I am unable to find milk powder in the grocery store. I live in Boston. Hopefully can get a response soon. I wanted to make this for Holi this week. Thank you! Hi.. Lovely blog and a beautiful kulfi.Unfortunately I couldnt these kulfi moulds in my local indian stores.Where in India did u buy these kulfi moulds? do you have any idea where i could find them in India? How would this taste with strawberries or another berry? Or even chocolate? I use your kulfi recipe regularly. It turns out absolutely fabulous. 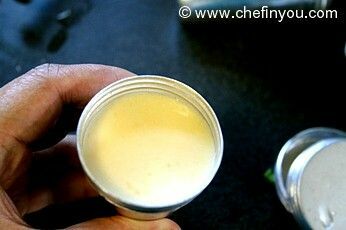 I use "sweetened" condensed milk because I can never find any unsweetened type in the USA but it works out fine. For the mangoes, I use mango pulp, I usually buy this off Amazon since its near impossible to find mango pulp in american stores. Always alphonso mangoes, and the cans seem to come from india itself which is great. 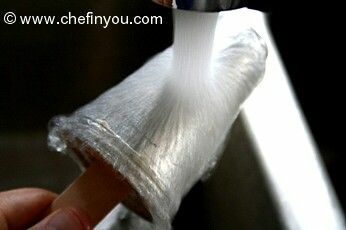 Ive noticed a lot of websites have kulfi recipes which don't involve any boiling ! One of them in fact was basically just ice cream + mango, and many of them are yogurt + mango.. almost like a frozen lassi instead of a kulfi. Your recipe on the other hand is perfect - tried and tested. Also a tip for other readers, one time I put the mango pulp in with the rest of the stuff before boiling, and the milk separated (sort of like making cheese), so be sure NOT to put the mango in till after you've boiled, and let it cool down to room temperature. Also for the freezing part make sure you are down to room temperature first, if you put a warm mixture in the freezer it freezes too fast and you get some ice crystals like you do when you refreeze regular icecream. Thanks again for this recipe. Jessica, pineapple does not work. Kulfi is great. I wonder why some enterprising person hasn't brought it out commercially in the US . After all, "nobody ever went broke selling sugar to the American public"
how many does this exact recipe serve? I was totally against Canned condensed milk idea in the kulfi. I always had an aversion for the condensed milk. Yet I tried this Mango Kulfi according to the recipe.. & it came out just great. It was soo good that the whole 4 kulfis were over within no time. My kids loved it so much. Thanx for the recipe. :) I love Hakka Noodles. So was thrilled to see the recipe. I just added chopped chilli, mushrooms, baby corn and didn't get the sprouts on time to add. But it was yummy. This was my first try to make chinese. Thanx to u I succeeded. Next try on Manchurian and spring rolls! Looking forward to more trials with ur recipes. Wow, Kulfi is an extremely unique twist on what I've come to know as ice cream! I had actually not heard of it until today, but now I must go try it out! Sounds wonderful. A perfect treat on a hot day. This looks delicious...and easy! I love easy! Would this work with pineapple as well? 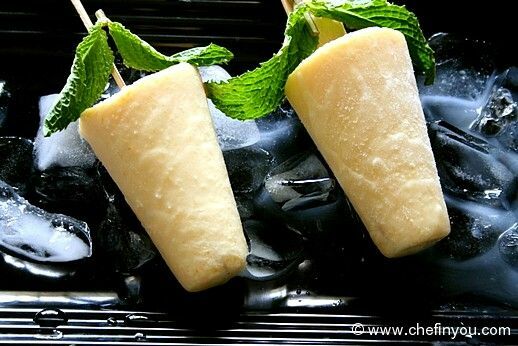 Wowo Ilove kulfi, they look absloutley cold delcious. I love that pic with the kulfi ontop of ice cubes. Hi Looks very yummy..I was wondering ifI do add the canned mango pulp,can I omit the 1/4 Cup sugar? That's awesome goodness on a stick Divya. 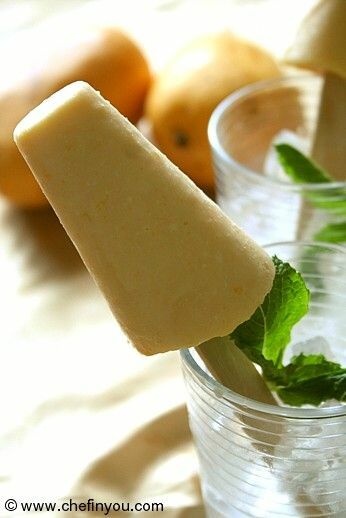 Have to try mango kulfi this year for sure. I have kulfi molds that I bought from Old Delhi. Great post!! The kulfi sounds yummy. I recently bought an ice cream maker but this one doesn't even need that. Sounds so simple and delicious. Do you have any suggestions for milk pwdr substitution? 500 litres milk, Dhivs? :) I love kulfi... I really think it's better than regular icecream, much as I love those too :) It does bring on the childish response in me as well! wow..love to have one right now..mango is my far more fav,fruti and with mango I can have anything..:) I've posted one mango panna cotta recipe too just 3 days back..you can come and have a look..